Administrative Law Judge Clara L. Slifkin, Office of Administrative Hearings (OAH), heard this matter in Brea, California, on December 7, and 8, 2010. Darin W. Barber, attorney at law, represented the Brea Olinda Unified School District (District). District’s representatives, Cheri-Ann Guerrero, director of special education, and Jeanine Leech, behavior and program specialist, attended both days of hearing. Vanessa Y. Chavez, and Kim Karelis, attorneys at law represented Student. Student’s Mother (Parent) attended both days of hearing. District’s request for a Due Process Hearing (complaint) was filed on October 8, 2010 and continued on October 28, 2010. At the conclusion of evidence on December 8, 2010, the parties requested, and were granted, a continuance until January 4, 2011, to prepare closing briefs. The matter was submitted and the record closed upon receipt of closing briefs on January 4, 2011. Was District’s psychoeducational assessment conducted in March, April and May of 2010 and memorialized in a report dated April 22, 2010 and June 4, 2010 appropriate, such that Student is not entitled to an independent educational evaluation (IEE) at public expense? 1. Student was six years old at the time of hearing and, at all relevant times, lived within the boundaries of the District. Since September 28, 2007, Student has been eligible for special education services under the category of speech and language impaired (SLI). 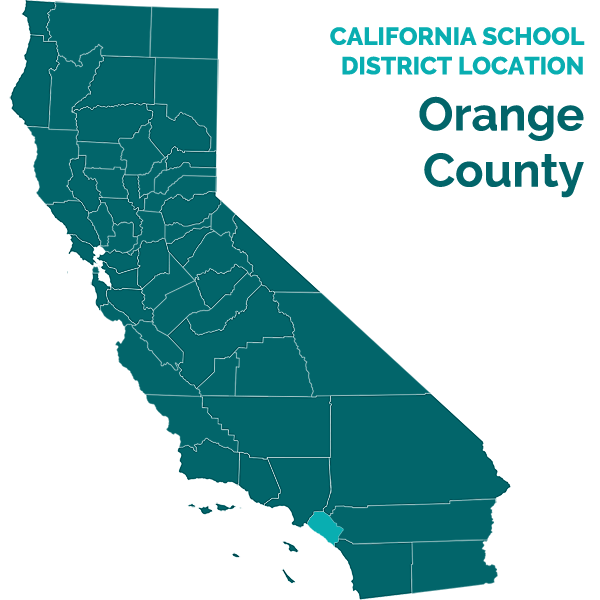 At the time of the psychoeducational assessment that is the subject of this action, Student was in kindergarten at Mariposa Elementary School (Mariposa). 2. On February 11, 2010, Dr. Marc A. Lerner, a clinical professor of pediatrics and developmental pediatrics at the Neurodevelopmental Center for Orange County Kids, examined Student. Dr. Lerner determined that Student had developmental delays, including features of motor dyspraxia, oral disfluency and communication deficits. On February 17, 2010, Dr. Lerner prepared a report and sent the report to Student’s pediatrician, Dr. Asteravatti. Dr. Lerner recommended that District conduct triennial assessments, including psychoeducational and social communication evaluations, as well as cognition and motor domain assessments. He also recommended that District continue to provide Student with communication therapy, and place Student in the developmental kindergarten program for an additional year. Finally, Dr. Lerner recommended that District monitor Student for Attention Deficit Hyperactivity Disorder (ADHD) and dyslexia. 3. After Parent received Dr. Lerner’s report, she asked District to hold an individualized education program (IEP) team meeting to discuss the report, and devise an assessment plan. District scheduled an IEP team meeting for February 26, 2010. 4. On February 25, 2010, Student’s teacher, Jean Eldred, prepared a Kindergarten IEP Report that described Student’s strengths, weaknesses, progress on her benchmarks, and necessary classroom modifications. The report posed questions for the IEP team to discuss at the February 26, 2010 meeting. 5. The February 26, 2010, the IEP team included the following: (1) Parents; (2) Dr. J. Cunningham, principal and LEA representative (Dr. Cunningham); (3) Christopher Holloway, school psychologist (Holloway); (4) Jean Eldred, general education teacher (Eldred); (5) Ghada Griggs, mild/moderate education specialist (Griggs); (6) Tami Gilman, speech and language pathologist (Gilman); and (7) family friend, Tisha Pettus. Eldred reported that Student was making slow progress. She voiced concerns about Student’s difficulty in keeping up with activities, transitioning from activity to activity, completing assignments, following multi-step directions and dressing. 6. The team also discussed Dr. Lerner’s neurological report. The meeting participants discussed areas of suspected disability, specific tests to administer to Student because of her age and that the previously administered tests limited the available options. Thereafter, the team determined that Student should be evaluated for eligibility in the areas of speech and language, specific learning disability and other health impaired. Specifically, the team determined that, in the area of speech and language, Student’s assessment should focus on expressive/receptive language, fluency, articulation, pragmatics, and oral motor. For specific learning disabilities, the team determined that Student should be assessed in the areas of cognition, academics, auditory processing, visual processing, and visual motor integration. In the area of other health impaired (OHI), the team determined that more information was required about Student’s health. Before the meeting adjourned, District prepared an assessment plan setting forth the assessments discussed in the IEP meeting. Parent signed the assessment plan. 7. In March and April 2010, the District conducted a psychoeducational assessment of Student. Holloway, Griggs, Gilman, Eldred, and occupational therapist, Maurine Cole (Cole), administered a battery of assessments. Holloway memorialized the assessments in a written report, dated April 22, 2010. 8. Holloway, who testified at hearing, received a bachelor of science in psychology from California State University, Fullerton in 2000. In 2006, he received his master’s of science in educational psychology and counseling from California State University, Northridge. He holds an advanced pupil personnel services credential, and is recognized as a Nationally Credentialed School Psychologist by the National Association of School Psychologists (NASP). He has been employed by the District for five years as a school psychologist, and was previously employed as a substitute teacher for two and a half years. His duties at the District include conducting assessments, attending IEP team meetings, advising resource support and special day class teachers, counseling students and meeting with parents and teachers. He has conducted approximately 250 psychoeducational assessments, administered the Test of Auditory Processing Skills-3 (TAPS-3) approximately 150 times, and has administered the Cognitive Assessment System (CAS) approximately 50 times. He administered the assessments in English to Student, in accordance with the test instructions. Based on his education, credentials and experience, Holloway was qualified to perform the assessments. 9. In preparation for assessing Student, Holloway reviewed Student’s cumulative file, prior assessments, IEPs and benchmarks. In addition, he reviewed Student’s health and development form completed by Parent and Dr. Lerner’s report. Holloway also observed Student in her general education classroom and on the playground. 10. As a part of his assessment, Holloway interviewed Parent, Eldred, and Student. Parent expressed concerns about Student’s coordination, difficulty in staying on task and Student’s progress in math and reading. Eldred expressed that Student was slow in completing tasks, a slow learner, and would pause for long periods when asked questions. Student expressed that she liked everything about kindergarten and enjoyed math and reading, playing tag, watching television and taking gymnastic classes. Holloway confirmed that Student’s primary language was English. 11. Holloway assessed Student’s Cognitive ability using the Cognitive Assessment System (CAS) and the Woodcock Johnson III, Test of Cognitive Abilities (WJ-III Cognitive Verbal Ability). The CAS is a measure of specialized cognitive abilities, related to success in various academic skills. He reported that Student’s CAS Full Scale Standard score, which includes scale composites in planning, attention, simultaneous and successive memory, was in the average range (Scaled Score (SS) 99, 47th percentile). Student demonstrated high average ability in planning (SS 112, 79th percentile), average ability in attention (SS 100, 50 th percentile), simultaneous processing (SS 94, 34th percentile), and successive processing (SS 92, 30th percentile). On the simultaneous composite, Student was able to make connections between different stimuli and come to unified conclusions at an age appropriate level. On the successive composite, Student was able to listen and retain information she hears in order. He also administered the WJ-III Cognitive-Verbal Ability and Student scored in the average range with a standard score of 109. Overall, based upon theses results, Student’s performance reflected average cognitive ability. 12. Holloway assessed Student’s auditory and phonological processing by administering the TAPS-3. Student performed in the average range in the phonological index (SS 105, 63rd percentile), cohesion index (SS 103, 58th percentile) and in the low-average range in the memory index (SS 88, 22nd percentile.) Thus, Student demonstrated overall average ability in Auditory Processing (SS 97, 42nd percentile). Because Holloway found Student’s auditory processing ability to be average across a wide range of tasks, he concluded that Student did not have an auditory processing deficit. 13. To assess Student’s visual perceptual and processing abilities, Holloway administered the Test of Visual Perceptual Skills-3 (TVPS-3). Student’s composite score for the Basic Processes was in the low-average range (SS 88, 22nd percentile). Student performed in the average range in the areas of Visual Discrimination and Visual Memory and low-average in the areas of Spatial Relations and Form Constancy. 14. Holloway assessed Student’s attention and learning problems by using the Attention Deficit Hyperactivity Disorder Test (ADHDT) and the Conner’s Rating Scale-Third Edition (Conner’s 3). The results of the ADHDT for class and home demonstrated a low probability that Student would exhibit behaviors characteristic of ADHD. Holloway reported that Student worked with several examiners, often in succession, and she was able to focus, sustain and shift her attention appropriately. Based on the information from Parent and teacher rating scales and observations by multiple persons in class and during testing, he concluded Student did not exhibit processing deficits in attention. His analysis was thorough and supported by the standardized assessments, observations, and input from Student’s teacher. 15. To further assess Student’s visual perception needs, in April 2010, Cole administered the Visual Perception subtest of the Beery Test of Visual Perception (Beery VMI). Occupational Therapist (OT) Cole is a licensed occupational therapist and employed by Gallagher Pediatric Therapy, a nonpublic agency. Since September 2008, Cole has provided OT services and assessed Student. Cole did not testify at hearing but her assessment report included the results of her testing. She reported that on the Beery VMI Student performed in the high-average range on the subtest in visual processing. Because Holloway found Student’s visual processing ability to be in the low-average to average range across a wide range of tasks and Cole found her visual processing in the high-average range, the report concluded that Student performed in the average range, and she did not have a visual processing deficit. 16. With respect to Student’s occupational therapy needs, Cole administered the Beery Test of Visual Motor Integration-Fifth Edition (VMI-5) to assess her visual motor processing. Visual motor integration is the ability to visually perceive an object and reproduce it with fine motor output. Student performed in the average range in the visual motor integration (SS 94, 34th percentile). In her report, Cole stated that she administered a supplemental Motor Coordination subtest, to further isolate this skill. Student also scored in the average range on this subtest (SS 93, 32nd percentile). Because Student performed in the average range on these assessments, Cole concluded in her report that Student did not have visual motor integration or motor processing deficits. 17. To assess Student’s academic functioning, Griggs administered the Brigance Diagnostic (Comprehensive Inventory of Basic Skills-Revised), an instrument that measures academic achievement. Griggs prepared a report that was incorporated into Student’s Pyschoeducational Assessment and she also testified. Griggs is the District’s resource specialist teacher for students with mild to moderate learning disabilities. She earned her bachelor of arts in English from the University of Jordan. She earned a master’s of science in educational leadership, and a certificate in behavior modification. Currently, she is enrolled at Pepperdine University in a master’s program for dispute resolution and a doctoral program for educational leadership. Griggs holds a multiple subject credential, a special education credential, and an administrative credential. She was employed by the Placentia Yorba Linda Unified School District for nine years and has been employed by the District for ten years. Her daily District responsibilities include conducting assessments, attending IEP meetings, providing academic services, collaborating with parents, mentoring new teachers and training other trainers. Griggs has assessed students in 12 of 13 eligibility categories, excluding visual impairment, and performed hundreds of assessments during her career. Griggs was qualified to assess Student’s academic achievement. 18. In preparation for assessing Student, Griggs reviewed Student’s cumulative and special education files, prior assessments and interviewed Parent. She also observed Student for a total of 40 minutes, several times in class and on the playground. She observed Student interact with her peers, focus and attend well, and follow directions. 19. Griggs tested Student over several days, and the test sessions lasted between fifteen and twenty-five minutes. Student handled testing very well, and acted appropriately. Student cooperated, showed tenacity and perseverance, and when rushed she gave up trying. However, if given time Student came up with the correct answer most of the time. Specialist Griggs found that Student’s composite standardized scores range from average in general knowledge and language, gross motor skills, to high-average in graphomotor, writing skills and math, and superior in reading. 20. At hearing, Griggs testified that she administered the Brigance, a nondiscriminatory test. Although Griggs identified Student’s response time as an area of concern, she found Student was making progress on her goals as reflected on the February 2010 report to Parents. Persuasively, Griggs testified that based on her observations and Student’s assessments, including scores in the superior and high-average range, Student’s classroom accommodations would help her to continue to make progress. Although eligibility is an IEP team decision, she opined that Student would not be eligible as a student with a specific learning disability (SLD). 21. To assess Student’s speech and language needs, Speech Therapist Gilman administered the Test of Language Development-Primary 4 (TOLD-P4), an instrument that measures speech and language. Gilman did not testify at hearing, but the Psychoeducational Assessment Report included the results of Gilman’s testing. Student scored in the high-average range in syntactic understanding, a subtest that assesses a child’s ability to comprehend the meaning of sentences. However, she scored in the low-average range in picture vocabulary, a receptive skill. Each subtest encompasses a linguistic system (listening, organizing, or speaking) and linguistic feature (semantics, syntax, or phonology). Gilman calculated Student’s composite scores on listening, organizing, speaking, grammar, and spoken language to be in the average range. However, she found that Student scored in the low-average range on the semantics composite, an area focusing on vocabulary. Because Student scored in the low-average range on the Picture Vocabulary and semantic quotient, Speech Therapist Gilman administered two similar assessment tools to further evaluate her in these areas. On both the Receptive One-Word Picture Vocabulary Test (ROWPVT), and on the Expressive One-Word Picture Vocabulary Test (EOWPVT) she scored in the average range. 22. Gilman administered the Goldman-Fristoe Test of Articulation, to assess Student’s articulation of vowels and consonant sounds. Student was able to produce all sounds at the word level correctly, with the exception of the voiced /th/. Because of Student’s recent diagnosis of dyspraxia, Gilman completed the Apraxia Profile which is designed to help identify and describe the apraxic characteristics present in a child with speech intelligibility deficits. Gilman found that Student had some minor weaknesses in non-verbal volitional oral movements, but her speech was intelligible. On the Apraxia Characteristics Checklist, Student exhibited none of the characteristics indicative of developmental verbal apraxia (DVA). Gilman also administered the Stuttering Severity Instrument, to assess Student’s stuttering habits and measure her fluency. She found that Student had a moderate stuttering disorder and exhibited short periods of silence between words. Gilman considered the short periods of silence to be the Student’s processing time and not stuttering. 23. Gilman developed a Pragmatic Profile from the Clinical Evaluation of Language Fundamentals 4 (CELF-4), a criterion-referenced subtest that was rated by Student’s general education teachers and Parent, on observations in the classroom as well as in the home and community. A checklist is used to gain additional information about the Student’s overall pragmatic development and typically expected skills for social and school interactions. Gilman was not able to obtain a standard score from the teacher rating form. Parent’s form indicated that Student had strength in social language, conversational skills, questioning skills, non-verbal skills, and reasoning skills. Parent’s response to the questionnaire was consistent with Gilman’s observations. Speech Therapist Gilman reported that during her testing Student was cooperative, appropriately interacted well with other students, and required extra time to process questions. 24. Holloway’s report included a comprehensive analysis of the District assessments. He found that Student was functioning within the average range of cognitive ability, across a wide range of tasks. She exhibited high-average ability in planning and average ability in the areas of simultaneous processing, attention, sequential processing and verbal ability. Academically, Student demonstrated performance from the average to high range across a wide variety of tasks as measured by the Brigance. Student had an approximate standard score of 109, and demonstrated a weakness in the basic psychological processing area of working memory. Holloway reported that present speech and language assessments indicate overall expressive and receptive language skills to be within the average range. He reported that Student’s moderate speech fluency disorder characterized by repetitions and prolongations affect the rate and rhythm of speech. Student’s speech assessments support her eligibility for special education as a student with SLI. 25. Holloway’s report thoroughly analyzed the results of Student’s information processing assessments. He found that overall Student exhibited average ability in auditory processing (Phonological and Cohesion), visual motor integration, and motor coordination. She performed in the low-average range in auditory memory. Student performed in the low-average range in the area of basic visual perception but on the visual perception supplemental assessments she performed in the high-average range. Overall, Student exhibited average ability in tasks requiring visual processing. Holloway’s finding that Student is in the average range in auditory and visual processing was supported by the evidence. 26. Based on the assessments, Holloway concluded that Student was not eligible for special education services under the criteria of a specific learning disability but was eligible under the category of other health impaired due to the diagnosis of motor ability dyspraxia. Student continued to be eligible under the category of SLI due to a fluency disorder that impacted her oral expression and might cause adverse attention. His report listed a number of academic strategies including, flexible due dates, provide work a head of time in order to pre-teach skills, preferential seating and when asking Student a question, give her time to process and respond. Holloway’s report contained a thorough analysis of assessments performed by qualified District assessors, who tested Student in areas of suspected disability, and made well-reasoned recommendations. District’s Psychoeducational Assessment Report was comprehensive. 27. At hearing, Holloway elaborated on his report and Student observations. He had observed Student for one and one-half hours in the classroom and on the playground and during the time she was assessed by Griggs. Holloway found Student was engaged, interested and cooperative in class, and on the playground, Student interacted with other students and transitioned smoothly from activity to activity. Student understood routines, leaned into the point of instruction, responded to the teacher, followed directions and displayed educational initiative. His observations of Student were consistent with the observations of other District assessors. 28. At hearing, Holloway was questioned about Student’s classroom performance and her auditory and visual processing. In his report and testimony he addressed these issues. Although, he observed Student appeared to disconnect if she was overwhelmed, she focused if given enough time to process the information. During Student’s assessments, Student was easily redirected and did well during many hours of District assessment. Although at times Student’s response was delayed, he opined that Student’s processing time would decrease with classroom accommodations and age. In his opinion, Student was thoroughly tested in all areas of suspected disability and overall Student was in the average range in these processing areas. He administered the assessments that Pettus and Parent requested. 29. Holloway testified that to determine if a student has a deficit, all scores across all areas must be reviewed, and a low-average score is not determinative. When a Student performs well on a certain task/area, it is his practice to stop assessing in that area. Holloway’s decision to discontinue testing Student’s visual perception was reasonable in light of her score on the VMI. 30. On April 22, 2010, Student’s IEP team met to discuss Student’s assessments and develop Student’s IEP for the 2010-2011 school year. District members of the IEP team prepared the IEP meeting notes. Parents reviewed those notes, asked District to revise those notes to add more detail and the District complied with that request. 31. Parent informed the team that she read the assessment reports and that she received the Psychoeducational Assessment Report prior to the meeting. Parent thanked the team for the thoroughness of the report and the complimentary information in the psychoeducational report. Cole presented Student’s OT assessments. Student scored in the average range to above average range on the Beery test of visual perception and Student’s visual perception skills were strong. She also reported that Student’s motor skills fall in the low-average range. Although, dyspraxia usually involves all areas, Student was able to perform many tasks with appropriate planning. Speech Therapist Gilman explained on the stuttering severity instrument that Student presents with a moderate stuttering (fluency) disorder. Gilman assured Parent that Student is moving and improving in this area. Parent agreed with the speech and language subtest and composite scores, and stated that Student was accurately tested in this area. 32. Holloway reported to the IEP team on his cognitive assessments. Student scored in the average range in cognitive ability, in verbal ability and in general knowledge, and scored in the high-average range in her writing skills. Student’s overall auditory processing was in the average range (97), her visual processing was in the average range and the TVPS was in the low-average to average range. He also reported that the presence of ADHD was in the low range for home and the very low range for school. He found that Student does not exhibit SLD because there is no significant discrepancy between her cognitive ability and academic achievement. To the contrary, Student shows great ability, even with her average processing scores. Based on Holloway’s recommendation and other team evaluations, the IEP team found Student eligible for special education services as a Student with a SLI and OHI, but not eligible under SLD. 33. Because of Parent’s concern about Student’s progress and her auditory processing, on May 13, 2010, she and family friend Pettus met with Holloway and requested additional testing with certain auditory and visual processing instruments. In response to this request, the IEP team agreed and Holloway prepared an assessment plan. Parent consented to Holloway administering the Comprehensive Test of Phonological Processing (CTOPP) and Cole administering the Bender Visual Motor Gestalt Test, Second Edition (Bender-Gestalt, II). The CTOPP measures Student’s phonological awareness, phonological memory and rapid naming of colors and objects. 34. On June 4, 2010, Holloway prepared a written report providing his observations and the results of his assessment. He reported that Student scored in the average range in Phonological Awareness Composite Score (SS 104, 63rd percentile) and this corroborated Student’s performance on the Phonological Index on the TAPS (SS 105, 63rd percentile). He also reported that Student scored in the low-average range on the Phonological Memory Composite Score (SS 85, 16th percentile), and this score is consistent with her low-average score on the TAPS Auditory Memory Index (SS 88, 21st percentile). Finally, on the Rapid Naming Composite Score he reported that Student scored in the average range (SS 103, 34th percentile) relating to long term memory. 35. He reported that the CTOPP was administered to Student to supplement the Auditory Processing measure given during the initial full team assessment. He again found the Student’s auditory processing/phonological abilities are in the low-average to average range across a wide variety of tasks. She performed in the average range on two composites measuring phonological awareness abilities: in the average range on an Auditory Cohesion Composite, and in the low-average range on a Rapid Naming Composite. Although Student’s scores in the area of auditory processing were in the low-average range on some scales, Holloway found that Student did not have a severe discrepancy between her ability and achievement, such that she did not meet the criteria for special education eligibility under the SLD category. 36. Cole administered the Bender-Gestalt, II to measure Student’s visual motor integration skills. She found that Student demonstrated visual motor integration skills in the average range on both the copy and recall portions of the Bender, and Student’s score was consistent with previous assessments. Cole continued to recommend that Student receive occupational therapy services once a week for 25-minute sessions to address the goals in her current IEP. 37. On June 14, 2010, the IEP team met to discuss the additional assessments administered by Holloway and Cole in the areas of auditory memory, phonological processing and visual motor skills. The IEP team agreed with Parent that Student’s processing speed was an area of concern but found that Student did not have specific processing deficits. Holloway once again explained to the team that Student does not meet the criterion for SLD. Student’s IEP addressed Student’s needs through classroom accommodations, speech therapy and occupational therapy. 38. On August 4, 2010, Parent requested an IEE at public expense. She disagreed with District’s assessments, and claimed District failed to assess Student in all areas of suspected disability. Parent requested that the IEE be performed by her family friend, Pettus. Pettus was a licensed educational psychologist who participated at the February 2010 IEP team meeting to develop Student’s assessment plan and met with Holloway on May 13, 2010, to suggest Student’s additional test instruments. On August 16, 2010, District timely denied Parent’s request. 39. Parents hired Pettus to conduct an IEE because they were dissatisfied with the evaluation, specifically the thoroughness and interpretation of the assessment results. Pettus received her bachelor of arts from California State University at Long Beach in 1992. She received a masters of art in counseling in 1997, and a masters of art in clinical psychology in 1998 from Chapman College. She has a pupil personnel credential that permits her to work as school psychologist and a counselor. She has been employed by the Centralia School District (Centralia) as a school psychologist for 14 years. Each year she performs about 60 to 80 psychoeducational evaluations for Centralia and performs two to four independent evaluations. 40. On October 19, 2010, Pettus prepared an Independent Educational Evaluation Report. She reported that she based her findings on her observations, review of previous assessment reports, Student input, Parent input, teacher input, and review of school and medical records. Pettus failed to observe Student in class or on the playground. She did not speak to Eldred or any of Student’s service providers. She administered the following assessments: Wechsler Intelligence Scale for Children (WISC-IV), Leiter International Performance Scale-Revised (Leiter-R), Nagliere Nonverbal Ability Test (NNAT), Test of Non-Verbal Intelligence-Third Edition (TONI-3), Woodcock Johnson Test of Achievement-Third Edition (WJ-3), Gray Oral Reading Tests-Fourth Edition (GORT-4), Wide Range Assessment of Memory and Learning-Second Edition (WRAML2), Motor-Free Visual Perceptual Test-Third Edition (MVPT-3) and the Behavior Assessment System for Children-Second Edition (BASC-2). 41. At hearing, Pettus criticized several aspects of the District’s assessments and Holloway’s report. Her criticisms fall primarily into three categories: (1) Holloway’s interpretation of the assessment results in the area of auditory processing, visual processing and attention; (2) Failure to administer all subtests of the TVPS-3; and (3) District’s failure to assess Student in all areas of suspected disability. 42. With respect to Holloway’s auditory processing assessments of Student, Pettus disagreed with his interpretation of the test results on the TAPS-3 and the CTTOP. She opined Holloway failed to consider each index and if he had he would have found Student’s auditory processing skills to be in the low-average range. Pettus opined that with Student’s low-average scores and her average cognitive abilities, further assessment should have been conducted to explore potential memory delays in both auditory and visual processing domains. Pettus administered the Wide Range of Assessment and Learning-Second Edition (WRAML-2), an instrument that assesses memory ability. Student’s scores in Attention /Concentration Skills, in the significantly delayed range, showed she had significant weaknesses in her memory. Student’s overall score on the General Memory Index was assessed to be within the borderline range, reflecting a significant area of delay when compared to her average intellectual ability. Pettus opined that processing difficulties in these areas could impact Student’s ability to learn and these processing difficulties suggest a learning disability. 43. With regards to Holloway’s visual processing assessments, Pettus contends that Holloway failed to consider visual processing assessments conducted by the Eye Care Center, Southern California College of Optometry (SCCO assessments). She analyzed the SCCO assessments and she agreed with their findings that Student had visual processing delays, specifically in the areas of visual memory, visual spatial relationships, visual short term memory, visual closure, and visual figure ground. Pettus administered the WISC-IV that showed Student’s weakness in the speed and accuracy of learning meaningless symbols. In her opinion, if Holloway had properly administered the TVPS-3, considered the SCCO assessments, and performed some further assessments, he would have found that Student had visual processing delays, in the areas of visual memory, visual spatial relationships, visual short term memory visual closure, and visual figure ground. 44. Pettus’ testimony challenged Holloway’s finding that Student does not have attention delays. She asserted that he misinterpreted the results on the ADHDT and the Conner’s 3 and failed to consider her elevated scores in attention, focus on work, and spelling. Pettus administered the BASC-2, and from Parent’s report she found that Student fell within the at risk classification in Attention Problems, Hyperactivity Behavioral Symptoms Index and Functional Communication. Based upon assessment data, Student’s work samples, classroom behavior and Parent’s observations, Pettus found Student demonstrated attention delays. 45. Pettus criticized Holloway’s administration of only four out of the seven subtests on the TVPS-3. She opined that because of his failure to finish testing Student, he was not able to obtain an overall standard score. She found Student’s test scores in visual perception fluctuated from the low-average score on the TVPS-3, to a high-average score on the Beery VMI Test of Visual Perception. She concluded because of this fluctuation Holloway should have used other instruments to assess Student’s visual perception. 46. Pettus was also concerned that the District’s psychoeducational assessment and report did not focus on Student’s slow processing and memory delays. To Pettus, District’s assessments failed to link Student’s auditory and visual tests with a processing problem. In Pettus’ opinion, because Holloway failed to test Student with additional instruments in auditory and visual processing, he failed to thoroughly assess Student in all areas of suspected disability. 47. Pettus’ criticisms of Holloway’s assessments are not persuasive. Pettus criticized Holloway for not administering all of the subtests of the TVPS-3, but there was no evidence that the failure to administer them affected the validity of the TVPS-3 test or the assessment in general. In fact, Holloway’s explanation was more persuasive. On the four subtests he administered, Student scored in the average range and it is his practice to not continue to test, if the child scored in the average range, particularly a student in kindergarten. 48. Pettus’ was also not persuasive because her major criticism was not District’s failure to properly assess but was the interpretation of the assessment results and the IEP team’s decision that Student was not eligible for services under the category of SLD. In addition, Pettus was a family friend who naturally sympathized with Parent and was personally involved at the IEP meetings and the selection of the test instruments. 49. Pettus’ opinions were not persuasive based on her failure to personally observe Student in class and on the play ground, scientific methodology and her administering the assessments at her home. Holloway persuasively testified that it is the best practice for independent assessors to observe a student at school, and to contact a student’s teachers, assessors and service providers. At hearing, Holloway also criticized Pettus’ results, because Pettus assessed Student in her home where many distractions exist and not in a more formal school or clinic based environment. Holloway also persuasively criticized Pettus’ scientific method and interpretation of Student’s scores on the WRAML2. According to Holloway, because Pettus found Student’s visual memory as measured by the WRAML2 to be in the deficient range and other subtests in the average range, she should have used another instrument to test Student. Holloway testified that if there is a significant discrepancy in two scores from the same composite, the assessor must go to the manual and look at the test to see if it is standardized. Pettus also failed to explain this discrepancy in her report or when she testified. As another example of Pettus’ flawed interpretation, Holloway pointed to Student’s scores on the Number Letter Subtest in the extremely low range (1) and in the average range (8) on the Finger Windows Subtest on the WRAML2. 50. Pettus’ criticism of District assessment for not including the SCCO assessments was also not persuasive. Student did not give District a copy of this report during the time that Student was re-evaluated by the District. Accordingly, District cannot be faulted for failing to consider it. 51. At the hearing, Griggs voiced her concerns about Pettus’ report and testing. Pettus administered the Woodcock Johnson twice in less than one year and this would make her assessment invalid. Griggs opined that if Student had been six and in first grade when she had administered the academic assessments she would have considered other instruments. However, an assessor must consider what tests are appropriate and standardized at the time of testing. As an example, there is no test for fluency in kindergarten, and no standardized measure for a child under the age of six. Pettus was able to administer more tests because the WISC-IV, TONI-3 and GORT-4 are valid if the subject is six years old. 1. District contends that it’s April 22, 2010 and June 4, 2010 psychoeducational assessment complied with the Individuals with Disabilities Education Act (IDEA) and State law. District assessed Student in all areas of suspected disability, and used a variety of assessment tools and strategies. The assessment was not discriminatory and was appropriately administered, using valid and reliable instruments. School Psychologist Holloway was qualified to conduct the assessment, and the assessment report was prepared appropriately. District further contends that Student’s criticism of the assessment were hyper-technical, and do not warrant an IEE. Student contends that the assessment failed to competently assess Student in all areas of suspected disability, the report did not adequately address Student’s weaknesses and needs, and that Holloway did not properly analyze the assessment data. Student further contends that District did not meet its burden of proof. As discussed below, the District met its burden of proving by a preponderance of the evidence that the April 22, 2010 and the June 4, 2010 psychoeducational assessment was appropriate. 9. Here, District demonstrated by a preponderance of the evidence that its psychoeducational assessment met all IDEA requirements. Parents requested District perform a psychoeducational exam, because Developmental Pediatrician Dr. Marc Lerner examined Student, and found that she had developmental delays including features of motor dyspraxia, oral disfluency and communication deficits, and recommended that District test cognition motor domains (i.e., OT evaluation, and academic readiness) and assess Student for ADHD or dyslexia. District promptly called an IEP meeting on February 26, 2010, to discuss Student’s needs and areas of suspected disability. Parents, Pettus, and District members of Student’s IEP team attended. The meeting participants discussed areas of suspected disability, specific tests to administer to Student because of her age and that previously administered tests limited the available options. By the end of that day, the IEP team had prepared the assessment plan, and Parent signed it, approving the plan and giving the District permission to assess Student. The assessment plan was understandable, explained to the Parents, contained information the Parents requested to be considered, and stated Student’s primary language and language proficiency. Thus, the assessment plan complied with the law. 10. The assessment was conducted by Holloway, a highly qualified assessor. He had performed more than one hundred assessments using the same instruments. As part of the psychoeducational assessment, Griggs administered the Brigance and she, like Holloway was highly qualified to administer it. Both assessors reviewed Student’s cumulative file, special education file and reports, interviewed Parent, teachers and Student, and observed Student in her classroom. In addition, OT Cole assessed Student’s visual motor and fine motor skills, and Speech and Language Therapist Gilman assessed expressive and receptive language skills using a variety of instruments. Student did not criticize Cole and Gilman’s methodology or findings. The assessment instruments were appropriate and valid to determine whether Student required special education. The assessment was given in Student’s native language (English) and not racially or culturally biased. The assessment resulted in a comprehensive written report that included observations, assessment results, consideration of Student’s academic needs in a general education class, and a reasoned recommendation that Student required special education services to access her education as a student with SLI and OHI and not as a Student with SLD. The assessment was discussed with Parents at an IEP team meeting as required. 11. As was discussed above, Pettus’ criticisms of the District’s assessment was not persuasive. Contrary to Pettus’ assertion that the assessors did not use a variety of assessment tools and strategies in the area of auditory processing, visual processing and attention, the testimony showed that District assessors used a variety of assessment tools and strategies to gather functional, developmental and academic information. Holloway and Griggs did not use any single measure or assessment as the sole criterion for determining whether Student was a child with a disability. Student was tested in all areas of suspected disability, SLI, OHI and SLD. Pettus was present when the IEP team discussed all of the areas of suspected disability and she agreed on those areas. Pettus’ major criticism of the District assessments was that District’s interpretation of its test results, not whether the assessment itself had been appropriate. 12. Further, Pettus’ IEE was not persuasive and did not demonstrate that the District assessment had been improperly conducted. She did not observe Student in her school environment, did not interview Student’s teachers, and did not interview any other District personnel. These observations and communications are the best practices and routinely done as part of a psychoeducational assessment. Pettus assessed Student in her home where many distractions exist and not in a more formal school or clinic based environment. District assessed Student when she was five years old, limiting the types of tests that could be given. In comparison, Pettus tested Student six months later with multiple tests that were normed for six year olds. Thus, the fact that Pettus was able to give other assessment instruments such as the GORT-4, WISC-IV and TONI-3 does not demonstrate that the District assessment was improper. 13. Student contends that Holloway’s administration of only four of the seven TVPS-3 subtests violated the statutory requirement that he use a variety of assessment tools and strategies in assessing Student and demonstrated that he failed to assess her in all areas of suspected disability. Student’s contention is not supported by the evidence. Holloway gave Student only four subtests because she tested in the average range. Holloway’s explanation for administering only four subtests was credible. In addition, in response to Parent and Pettus’ request to continue to test Student’s auditory and visual processing, Holloway administered the CTOPP and Cole administered the Bender-Gestalt, II. Student scored in the average range on these tests of perception and motor skills. Cole reported that this score was consistent with her other scores. Thus, even though Holloway did not give all subtests of the TVPS-3, other assessments were given that addressed potential areas of need not otherwise covered by the four TVPS-3 subtests that were given. Further, Student’s argument that District should have considered the report of the SCCO findings and identification of Student’s visual motor delays is unfounded because Student did not give the District a copy of this report during the time that Student was evaluated by the District. 14. In summary, District demonstrated by a preponderance of the evidence that its April 22, 2010 and June 4, 2010, psychoeducational assessment was appropriate. The evidence also demonstrated that Holloway’s Psychoeducational Assessment Report dated April 22, 2010 and June 4, 2010, was a comprehensive written report. It included observations, assessment results, consideration of Student’s academic needs in a general education class, and a reasoned recommendation. Parents received the Report prior to the meeting. The assessments were discussed with Parents at an April 22, 2010 and a June 4, 2010 IEP team meeting as required. Student was tested in all areas of suspected disability. 15. Under all of these circumstances, and based upon Factual Findings 1 through 51 and Legal Conclusions 1 through 14, District demonstrated that its psychoeducational assessment dated April 22, 2010 and June 4, 2010, was appropriate. Student is not entitled to an IEE at public expense. 1 All references to the Code of Federal Regulations are to the 2006 version, unless otherwise indicated. 1. District’s April 22, 2010 and June 4, 2010 psychoeducational assessment was properly conducted. 2. District does not have to provide Student with an IEE at public expense.